Tradition and picturesque nature await in Japan. The Land of the Rising Sun is made up of beautiful mountainous landscapes, enchanting cultural vibes and numerous hidden gems. We all probably know of some of the more prominent locations that Japan is famous for, namely Tokyo, Kyoto, Osaka, and maybe Hokkaido and Mt. Fuji. At some point in our life, we’ve probably also been exposed to anime and have dreamt of viewing cherry blossoms in spring. However, there’s one slightly lesser known destination that has managed to retain its charm and captivate visitors over the years. That destination is none other than Shirakawa-go. Taking a closer look, the Shirakawa-go (白川郷, Shirakawagō) and neighboring Gokayama (五箇山) regions line the Shogawa River Valley in the remote mountains that span from Gifu to Toyama Prefectures. 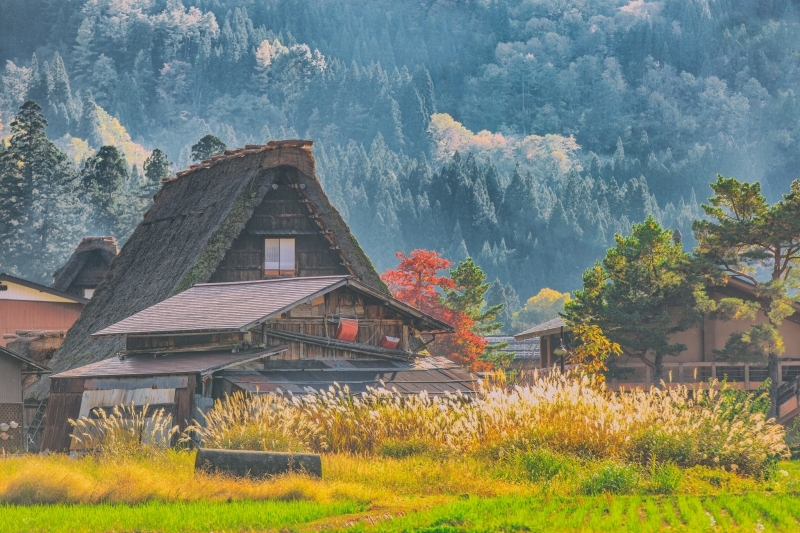 Thanks its traditional gassho-zukuri farmhouses, some of which are more than 250 years old, this majestic, picture-perfect village was declared a UNESCO world heritage site in 1995. If you’re interested in seeing how awe-inspiring Shirakawa-go is, here’s a handy little guide to help you on your way. The easiest way to get to Shirakawa-go, would be via Chubu Centrair International Airport (which also happens to be the closest airport). It generally serves the Central Japan area, including its principal city and international hub, Nagoya. From the airport, you’ll be able to board a train on the Chubu Centrair International Airport Station of Meitetsu Line. Once there, transfer to the Meitetsu-Limited Express train bound for Meitetsu Nagoya Station. The ride will take about half an hour of travel time. After reaching Nagoya Station, you’ll need to take the Gifu Bus on the Shirakawa-go Express Line. Three and a half hours later, you’ll arrive at the Shirakawa-go bus stop. 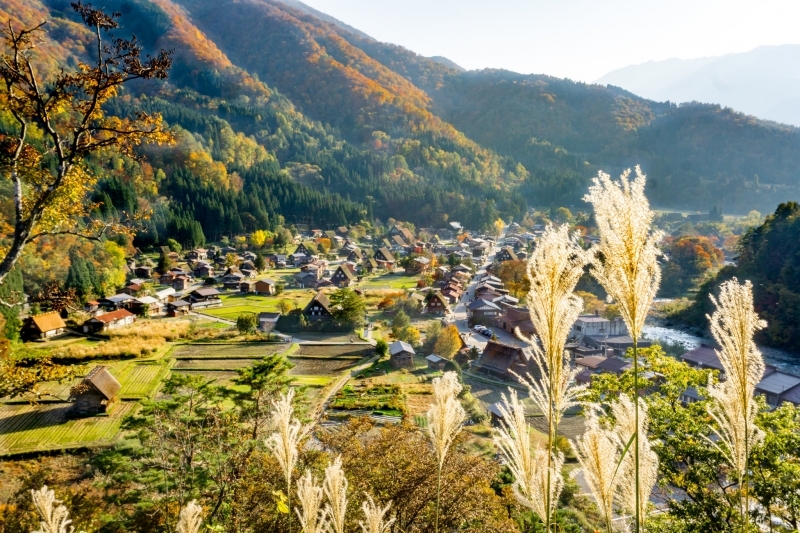 If you’re already in Japan and want to visit Shirakawa-go on a day trip, Tokyo, Kyoto and Osaka also have connections via train and bus to this charming village destination. While it may be intimidating to figure out travel directions in Japanese, it’s actually not all that difficult. Once you arrive in Shirakawa-go, the Shirakawa Highway (also known as High Street) won’t be accessible to buses or private cars from 9 AM to 4 PM. However, this won’t be a problem, because the best mode of transportation around these parts are your own two feet. That’s right, you’ll be walking around most of the time. Don’t give me that looks, it’s actually the best way to soak in the sights and the sounds from every square mile of this beautiful spot. You’ll also have the option of renting a bicycle if you really don’t feel like walking or are pressed for time. If you decide to hire a private car or join a group bus tour, these will usually be parked in a designated area called Seseragi Park, located near the Deai-bashi Suspension Bridge and the Main Information Center. If you’re looking to spend the night in this village, you may be able to find accommodation in one of the Gassho-style houses. Most of these traditional structures have been open to the public as guesthouses (although at peak times they would probably be pretty filled up). Alternatively, visitors can find places nearby like the Tosuke no Yu Fujiya and the Toyota Shirakawa-go Eco-Institute. Otherwise, you can also find hotels at the closest urban hub to the airport (Nagoya). 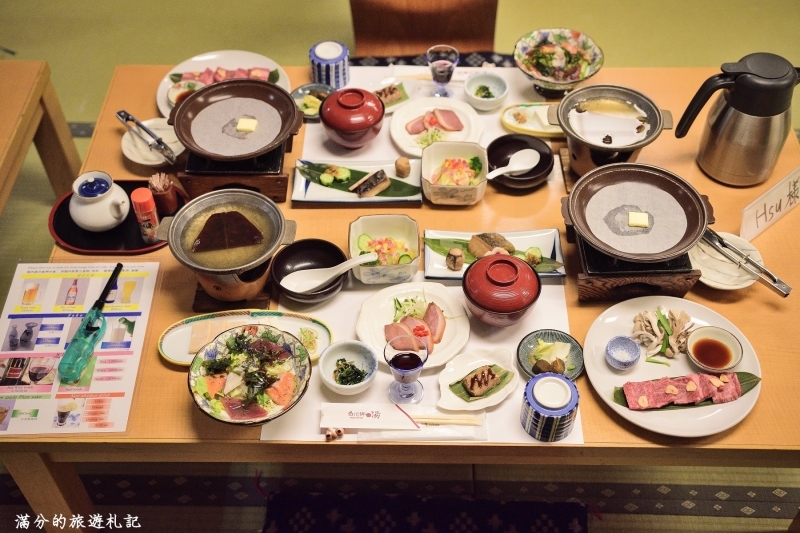 If all that walking and sightseeing makes your tummy rumble, you can make a reservation at Kita no Sho (also Kita no Syo), a 250-year old Gassho-style restaurant. This restaurant offers set meals but it can also customize its menu according to your preference and budget. Swap your meat for fish, or have pure vegan style meals without any meat at all. Other amazing restaurants in Shirakawa-go include; Kita no Sho are Bunsuke, Nomura, Ochudo, Irori, Soba Wakimoto, and Hina. Now, on to the most important agenda on any travel guide: the attractions. If you’re looking for gorgeous village vibes, you’ve certainly come to the right place. 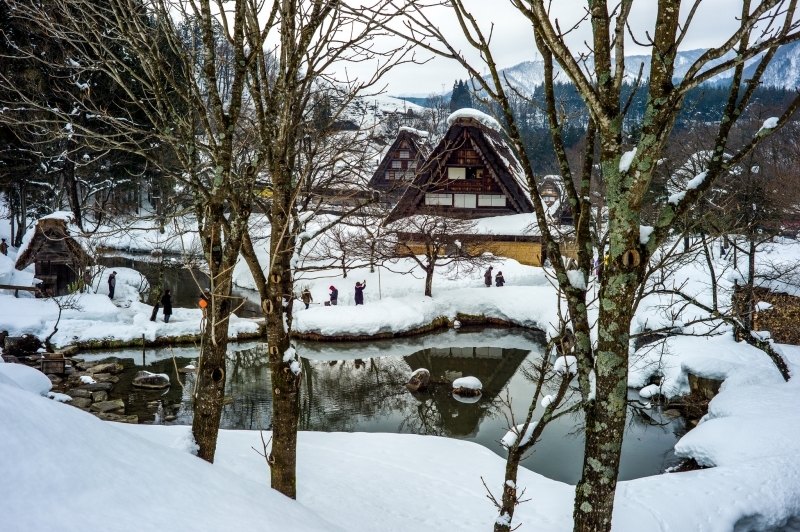 Shirakawa-go packs a ton of precious little surprises around practically every corner, with structures that are rarely seen anywhere else and a quiet, serene atmosphere to boot. Recognized as an Important Cultural Property by the Japanese Government, the Wada House embodies the traditional Gassho-style of houses, firmly securing Shirakawa-go’s reputation as a UNESCO World Heritage Site. The Wada House has been the abode of the prominent Wada family for over three centuries. In fact, most of its members have been village heads and officials. This house is one of the oldest and largest among the Gassho-zukuri houses in Shirakawa-go. 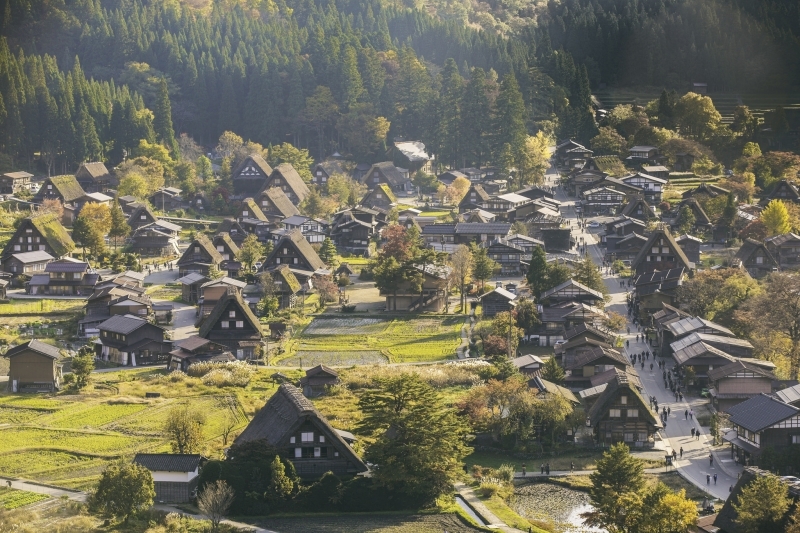 There’s a reason for the steep roofs and massive structures of Shirakawa-go’s farmhouses. It’s to counter the colossal amount of snow that builds up around the region every winter. Yes, at the peak of winter, there’s typically close to one or two meters of snow! This contributes to the village becoming a unique and idyllic winter spot. To emphasize the visual aspect during this time, the village organizes special illumination events. These usually occur on selected Sunday and Monday evenings in January and February that attract plenty of visitors. 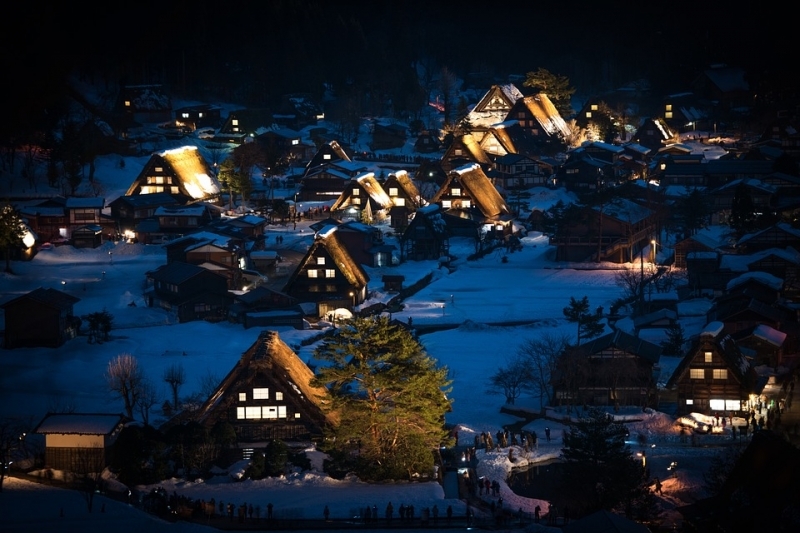 During this time, many of the village’s gassho-zukuri farmhouses are lit up and it is truly a magical sight to behold. This humble village is also a destination that is rich in history. Due to this, a few intriguing museums have been established. 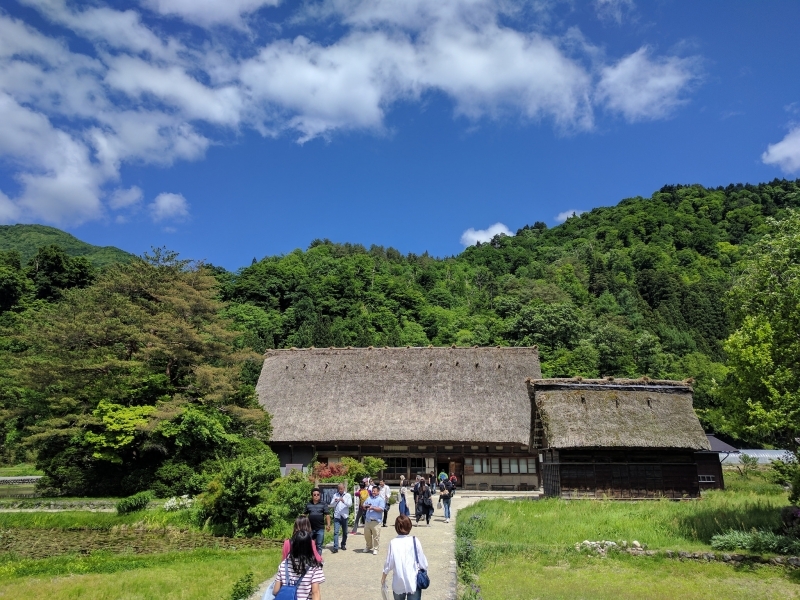 Drop by the Jin Homura Museum of Art which exhibits the paintings of the famous painter Jin Homura, the Myozen-Ji Museum which houses antique furniture (and more), as well as the Gassho-zukuri Open Air Museum which gives you an idea of how the people of Shirakawa-go lived in the past. 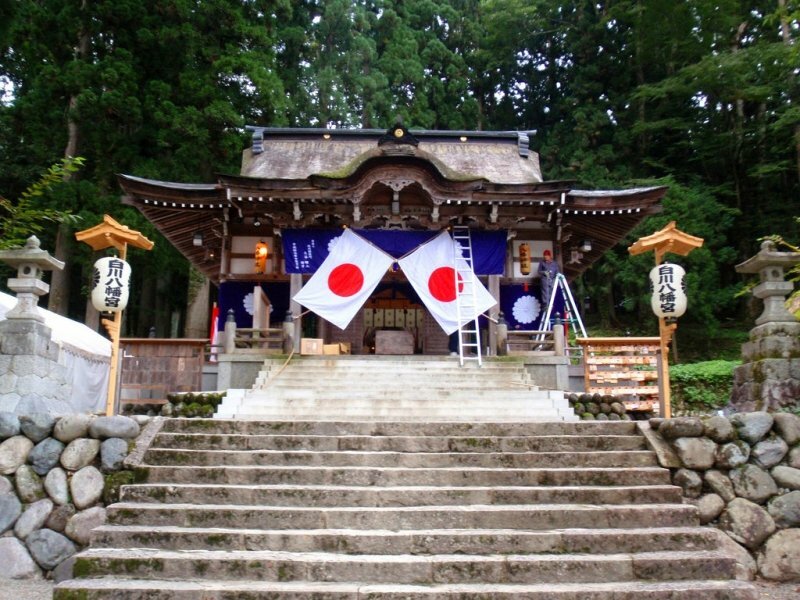 This vibrant and enthralling festival takes place at three main shrines throughout Shirakawa-go; Shirakawa Hachiman Shrine, Hatogaya Hachiman Shrine, and Li Jima Hachiman Shrine. Held in mid-October, visitors can see lion dance performances and hear folktales at this event. It’s a memorable festival to fall in love with the local culture. And there you have it, the guide you need to make a memorable day trip to one of Japan’s best kept travel secrets! 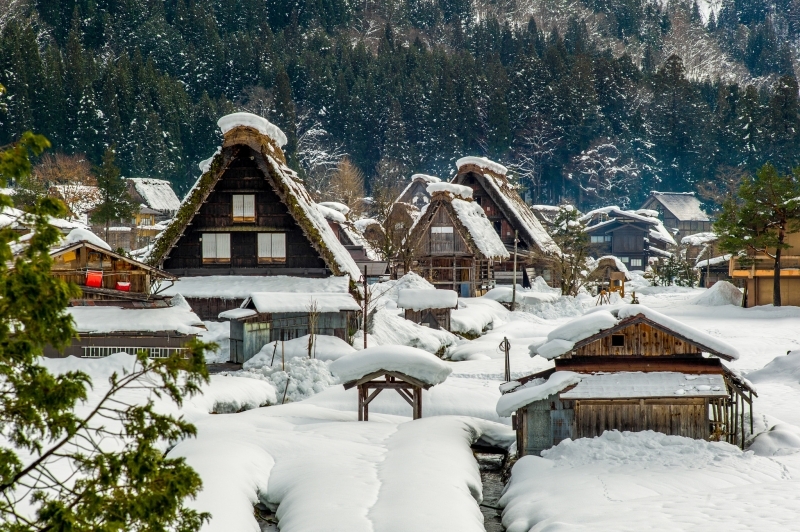 With its rich culture and wonderland atmosphere during winter, Shirakawa-go should certainly be on any travel junkies list. I know it’s on mine!